I don’t really feel the need to pimp out various hardware manufacturers but we just recently moved and our wireless network no longer reached all of the rooms. The goal was to have seamless internet across the apartment without having two different wireless networks. I did not have a large budget nor any preconceived notions which brand would be best. I tried going to a local electronics store and it would have been easy to walk away with at least 10 different brands of repeaters but from what I was seeing on the internet repeaters don’t discriminate which signals they repeat. The internet also mentioned that most devices will be both a repeater and an access point, but as none of the pretty colored boxes mentioned this I abandoned my local store … for the internet. The actual device was quite tiny and the box also included a flat network cable. It was perhaps 10 or 12 cm long but was too short for me. The box also came with a tiny quick setup booklet that did describe what you needed to do if you are planning on using it just out of the box. I felt changing the admin password away from the default would be a good idea. The only reason that I am writing this up is because of just how painless this was. I didn’t quite follow the instructions but to be honest they could have provided a link for something a bit beefier. Once I plugged in the device, I connected it to the network and turned it on. I was able to reach the device from my desktop computer. Simply login using the provided admin and password and proceed to change a few of the values. Of the values I only changed the SSID from the factory default to be the same value as my existing wireless network. I changed the admin password and the wireless passphrase. The only other change that I did was to setup the NTP server, select my timezone and to enable the watchdog service check every 10 minutes. It was pointed out that setting the SSID to the same value for multiple access points will work but it depends on the client that connects to it. If that client is not very clever, it will remain stuck to its original connection even when a better one exists. There was one other small problem. Despite setting up a connection to a time service the date and time of the device doesn’t get properly set. This wasn’t a problem for me but would be a problem if you wanted to schedule the wireless turn off period. I actually do have one more small possible issue. 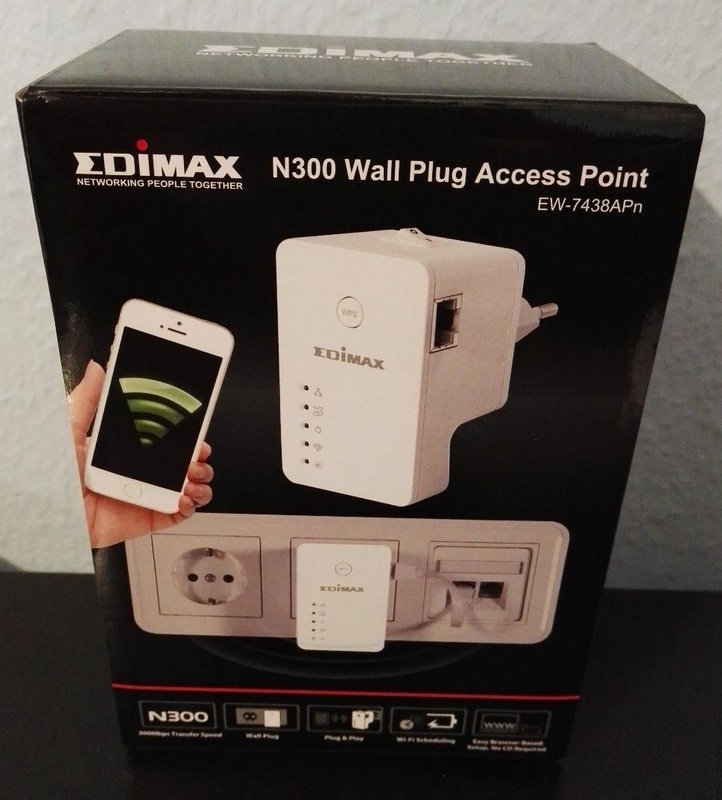 I personally haven’t had any problems connecting to the network using our new edimax using either android (Samsung, Huawei or Kindle) but my wife has complained that she has problems connecting from her Apple tablet. This entry was posted in Review and tagged hardware. Bookmark the permalink.